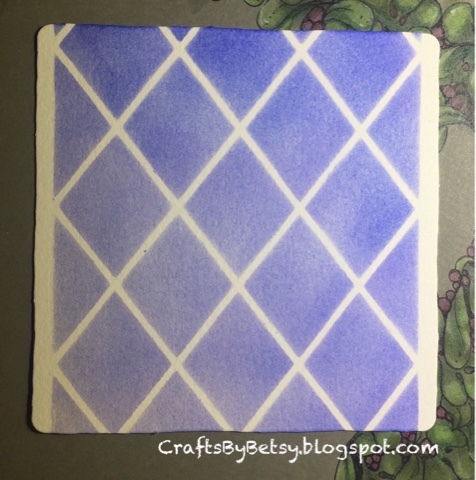 Yup, I'm still a little behind as I'm showing you my tile for last week's diva challenge #327. Guest blogger Henrike Bratz challenged us to draw her Lisbon fragment (if you haven't checked it out, see it here....it's great fun!) combined with Diva Dance. When I saw the Lisbon fragment I knew I wanted to have a go. I went to my box of tiles and as I pulled out a tile, I noticed this one I did quite awhile ago. Luckily I wrote on the back how I achieved this look, as I had forgotten. 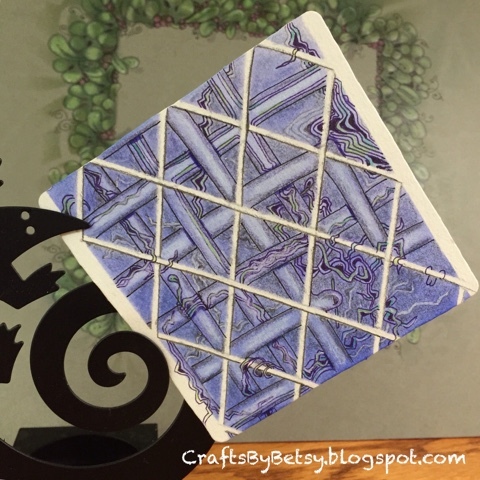 I used a Dreamweaver stencil and sponged distress inks through it onto a Zentangle tile. Henrike shows how the different orientation of the initial strokes in each fragment changes the look of the the overall tile. Here is what I chose to do. And here is the final result. I think perhaps the Diva might be moonlighting as a plumber in mine! What do you think? 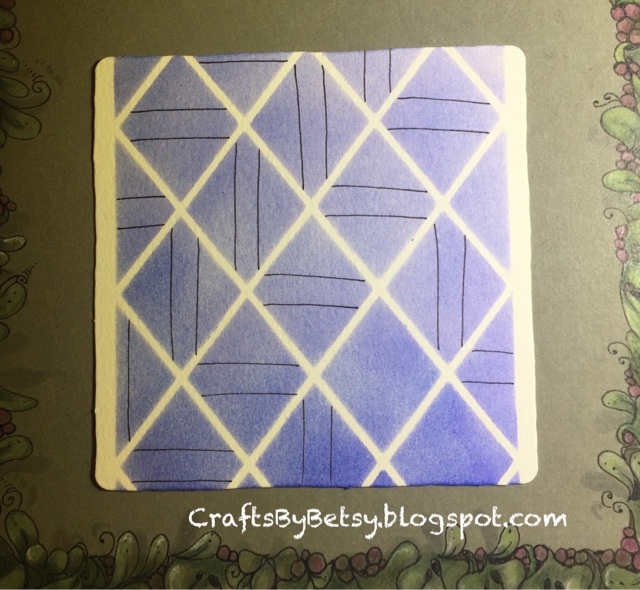 I used black, purple and gray microns, colored pencils, a touch of white chalk, and graphite.